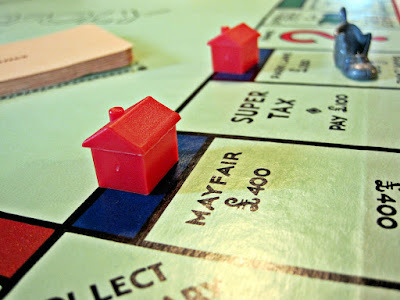 Aspiring millionaire: Property Investment: The Big Mistakes You Don't Want To Make! Property Investment: The Big Mistakes You Don't Want To Make! There is a common misconception that property investment is a risk-free investment option when that isn’t the case at all. Of course, compared to some investment opportunities, like making an investment in the diamond industry or buying stocks or bonds, property investment does come with a lower level of risk. However, that’s not to say that property investment comes with no risk at all because that’s not the case. There are hundreds of thousands of investors who have bought a property, things have gone wrong for one reason or another, and they have lost their investment. So although property investment isn’t as risky as some investments, it still comes with a level of risk, and it’s important to understand that. For any investor that is serious about making a success out of property investment, it is vital to ensure that the big mistakes often made by new investors are avoided at all costs. Want to know what traps new investors have a habit of falling into as well as ways to avoid falling into the same ones? Then read on for a guide to the big investment mistakes you don’t want to make. If there is one mistake that can have dire consequences when it comes to investment, it’s failing to plan in advance. A lack of a well-thought out and well put together plan is a huge mistake when it comes to investment and one that you don’t want to make if you are keen to be successful. A lot of investors simply buy a property and then start to think about what to do with it, without having a plan in place. However, it’s much better to use resources like https://www.propertytalk.com to research the best methods of property investment. Once you’ve done the research, you can then put a plan in place - think of it like a business plan - before making an offer on a property. Don’t make the mistake of attempting to make a plan after purchasing a property. Before choosing a property to invest in, it’s important to decide what sort of investment you want. Are you looking for a property to buy, do up, and sell on for a profit or are you looking for a property that has rental potential? It’s important to decide on these things beforehand, as they will impact the type of property that you should buy, as well as the area that you should buy in. The key to success in the investment industry is building up a network of professionals that you can rely on. At the very least, you need to work with a realtor, appraiser, home inspector, and an attorney. For the remodeling part of your investment plan, you will need to create a team of skilled plumbers, electricians, interior designers, and decorators, to ensure that the overhaul of the property goes according to plan. The fact is, if you go it alone, you are much less likely to be able to make a success of things. There you have it, a guide to three of the biggest property investment mistakes that you don’t want to make, and how to avoid them. I wish I had planned for retirement 20 years ago. Nice read.